Is it just me, or does every kid (and maybe even adult) come home starving from school?! Leighton has a short window, and if she isn’t fed in that window, let’s just say she gets even hangrier. 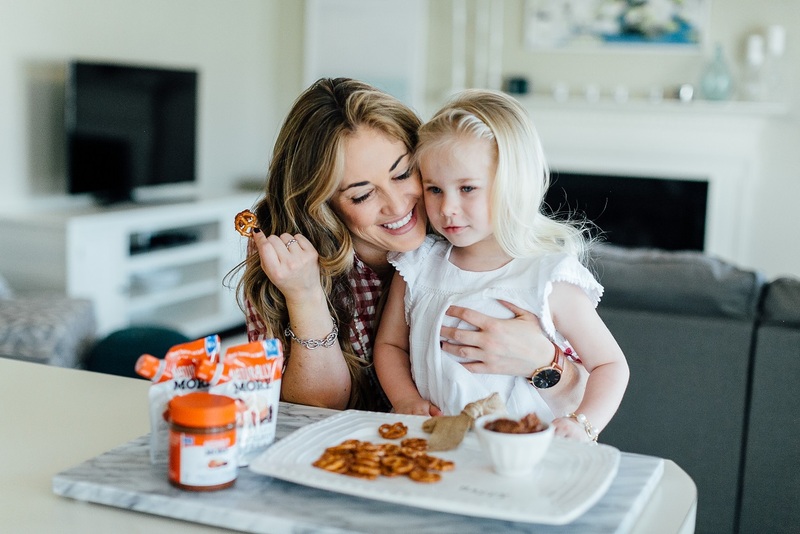 So…I’m back today sharing one of Leighton’s favorite natural snacks for kids – pretzels and chocolate hazelnut butter. Adding the Naturally More chocolate hazelnut butter is a great way to mix it up. And it tastes amazing y’all! The whole family loved it. Everyone eats pretzels and peanut butter, but the chocolate is unexpected, and come on, who doesn’t love chocolate?? This hazelnut butter is creamy, thick and is so rich with chocolate (but not too much.) And like all of Naturally More’s nut butters, it has added probiotics which means they not only taste good, but they’re even better for us. 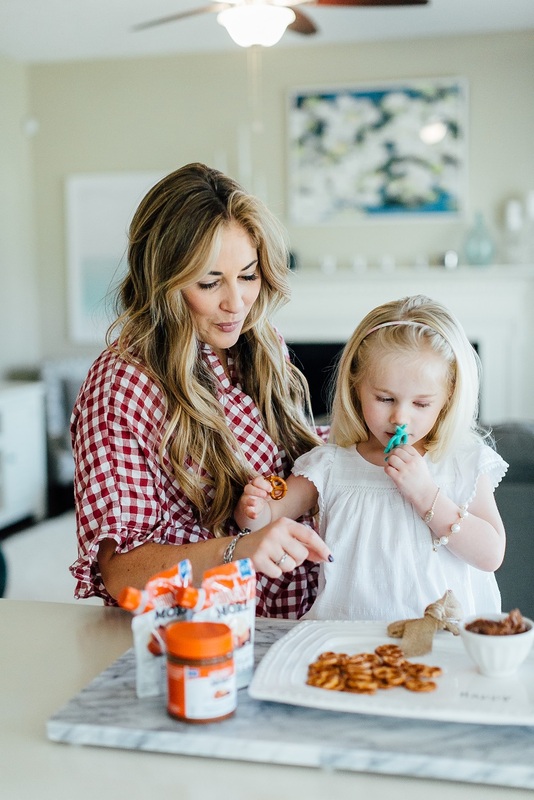 I usually try to have our natural snacks for kids ready for the moment we get home from school, and this one is so easy. The hazelnut butter is also amazing on pretty much any type of fruit, especially strawberries, yum! 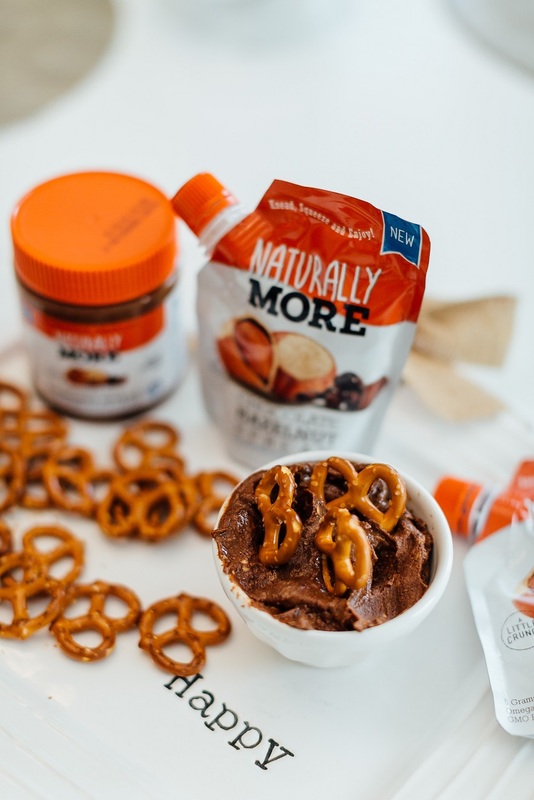 Have you tried any of Naturally More’s nut butters? 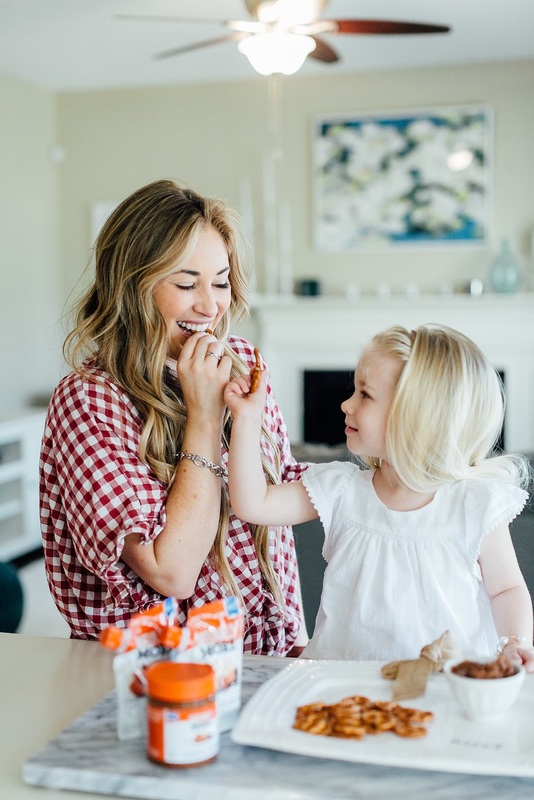 Do you have a hangry toddler when they get out of school? 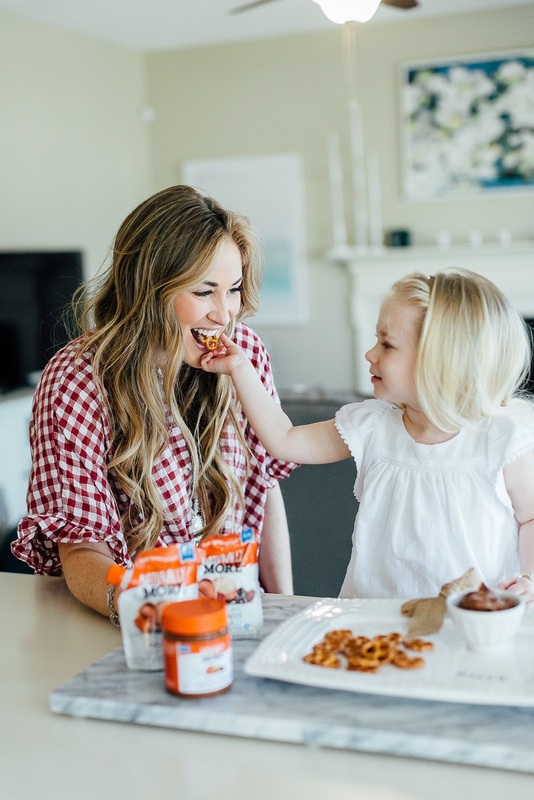 What are your favorite go-to natural snacks for kids? Let me know in the comments below! Umm YUM! I think I’m like Leighton…haha my window is short and I get so hangry! Yum!! This looks so tasty! I love finding a healthy snack that tastes good. This looks so good! Oo this is great!! I definitely want to try the chocolate hazelnut butter – sounds delicious! 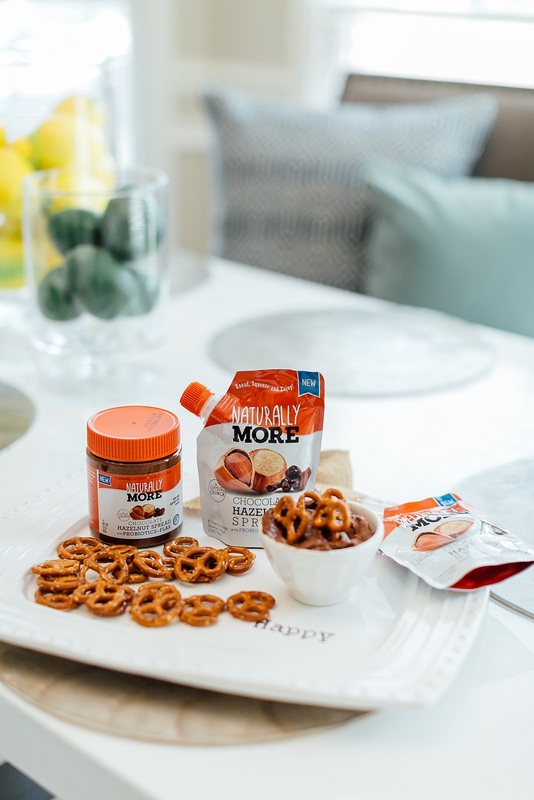 These sound like a great alternative for those mid day snack breaks! This is too cute! And it looks like an amazing snack to try! That looks like a very yummy snack for kids and parents 😉 Mason isn’t in school yet but he seems to eat everything I pack for him when he’s at daycare but still wants more food when we get home! This looks so yummy, I’ll have to get some for my kids! This is right up my alley—delicious and nutritious!! This looks so yummy! I love the portion controlled pouch size! My girls would love this snack! We always have pretzels on hand. I’ll have to check it out! This looks healthy and delicious! Great for kids. I want to try that too! Ooh, will definitely need to try this snack, it sounds so yummy and I’m sure my kids will love it!! 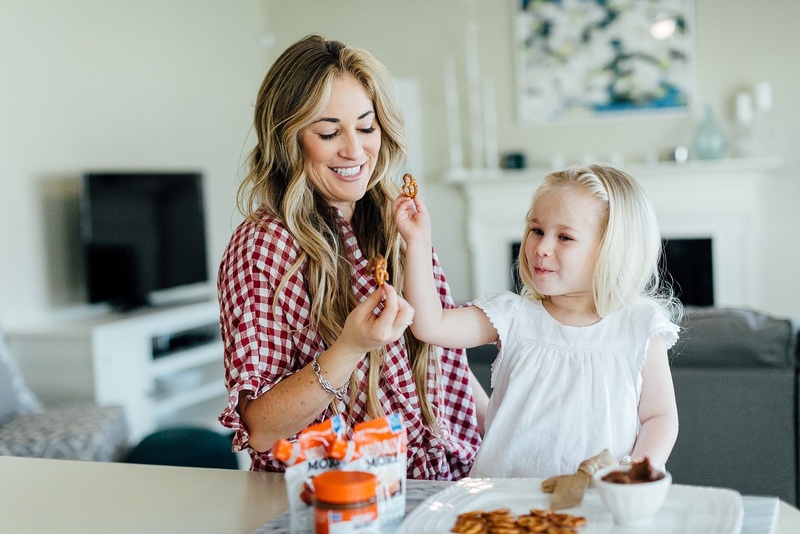 After school snacks are a MUST HAVE! I’ll be honest – these aren’t just for kids ahha! I’d totally eat these kinds of snacks! OMG yum!! 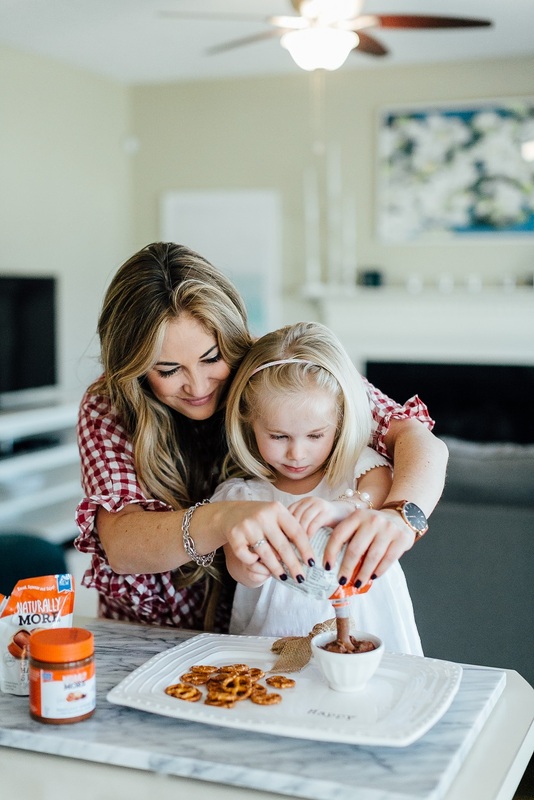 It looks so good – I think us mamas will enjoy it as much as the kiddos do haha! Also love your pretty top! I totally get it- hangry is a real state of being! ha. 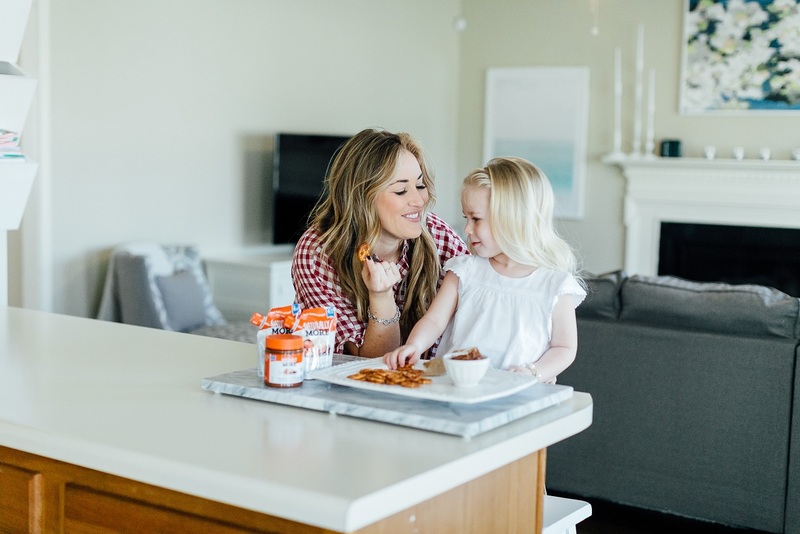 This looks like a yummy snack for kiddos and adults alike! My go to snack, especially when I’ve had a hard day, is Nutella and pretzels ????. I. Terms of healthier options we always have little mini portions on nuts, crasinins, raisins and pretzel sticks. These look and sound great! Wouldn’t mind them for myself as well. Hard finding snacks that are healthy and tasty. 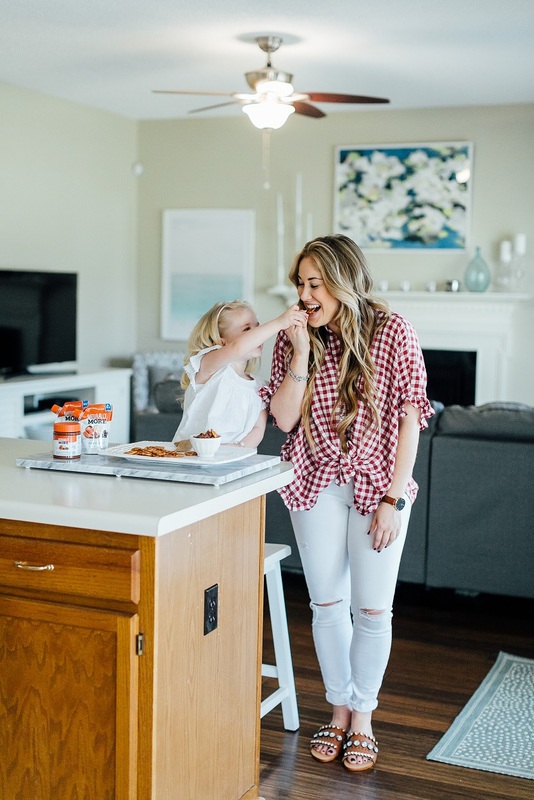 This is so awesome, knowing that you’re feeding your kids with something they like, plus all the essential vitamins that goes a long with it. Nicely done dear!